At TKN we deployed a small testbed consisting of two USRP-SDRs (X310, 2x2 MIMO, Ettus Research) devices which are used for LTE-based research. 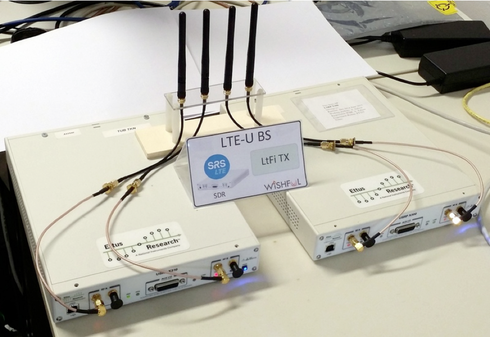 We use the open-source LTE protocol stack srsLTE which can be easily modified and extended. Figure 1. Two USRP X310 used to test LTE-MIMO.